Robie Devilbiss found this US Cartridge Box Plate with his XP Deus on November 4, 2017, near Union Town, MD. Stanley Snouffer located these artifacts in northern Maryland in October, 2017. Owen Amigo located this nice Union Eagle Breast Plate on August 28, 2017, with his AT Pro. 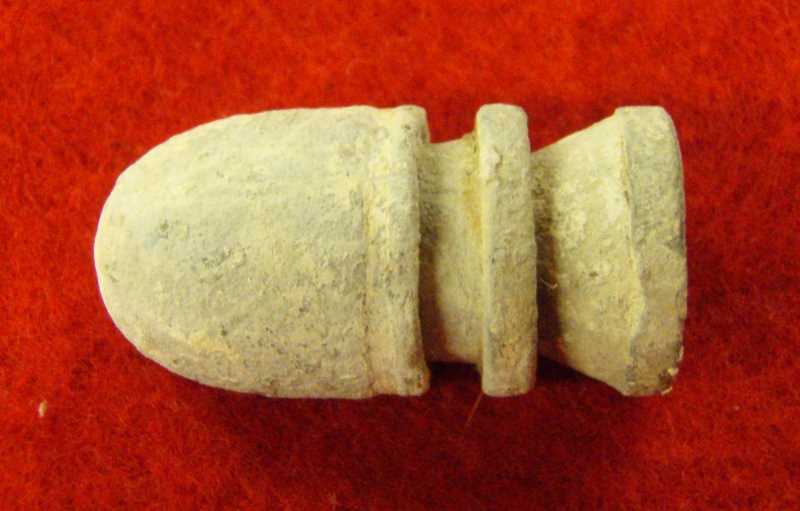 This is the first Civil War artifact he ever found. He did not find any bullets! What a way to start out relic hunting! Dave Baker recovered this Union officer's spur, breast plate, and a Gardner explosive bullet in northern Maryland with his Teknetics T2. 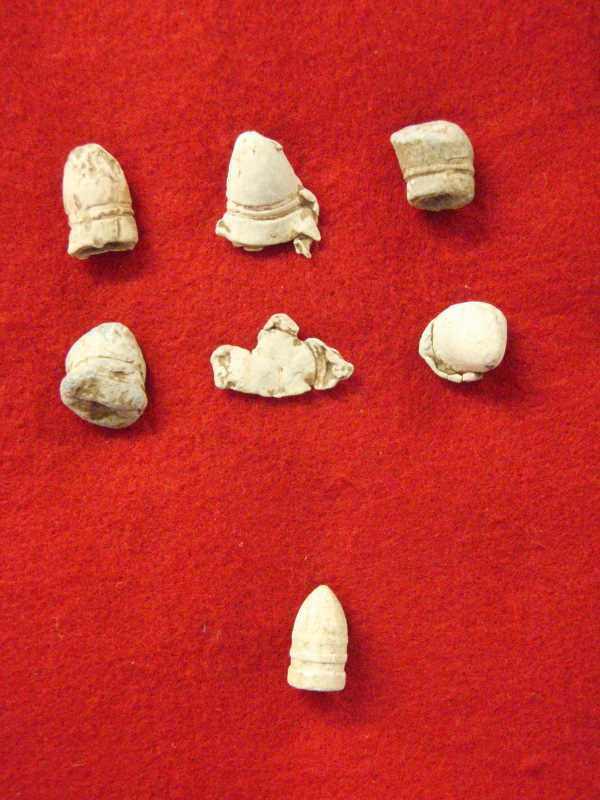 Explosive bullets were used in only two battles: Chancellorsville and Gettysburg. After Gettysburg, both sides determined they were too inhumane, and both sides agreed not to use them. They are occasionally found in camps between Chancellorsville and Gettysburg. Nice finds! 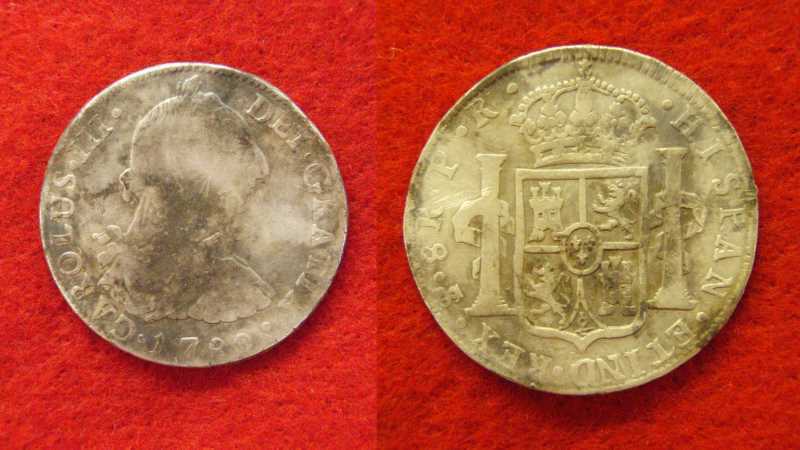 On June 24, 2017, Steve Frey dug this 1780 8 Reale coin in a field east of Gettysburg, using his Garrett Ace 250. A scarce great find! 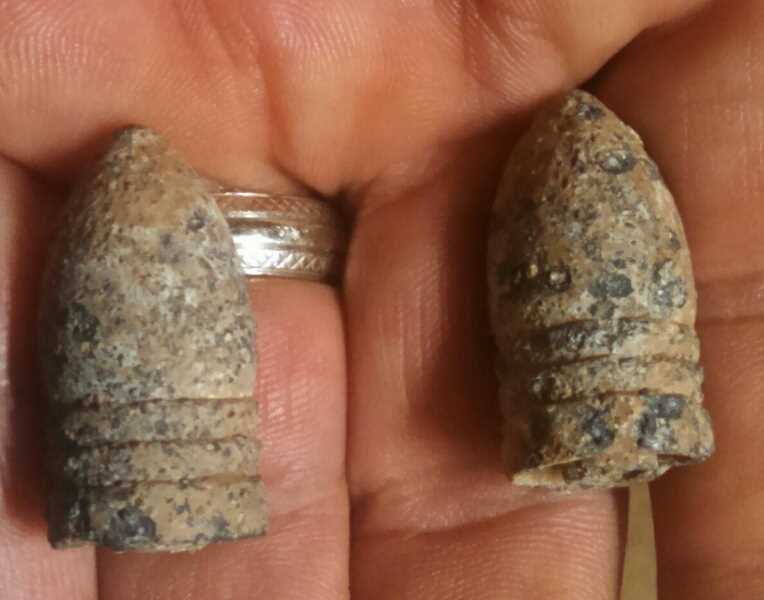 Lori Currens located these Confederate bullets on May 8, 2017, using her Garrett Ace 400. At the same time, her husband Wade Currens found a single Sharps bullet with his Garrett AT Pro. Many times the wives outdo their husbands when they go detecting together. Wade also located these .44 caliber pistol rounds. The one was chewed by an animal that mistook it for a nut. Interesting finds. 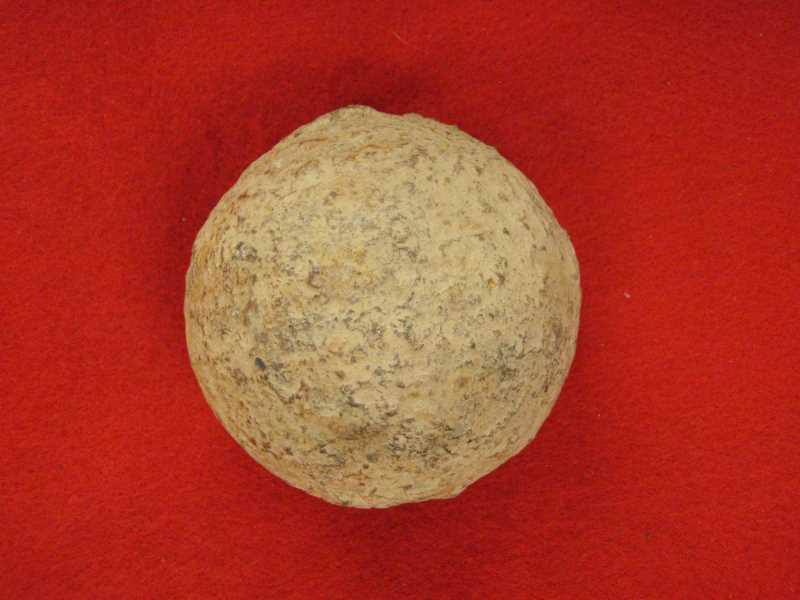 Stanley Snouffer found this 6 pound solid shot cannonball in northern Maryland with his Garrett AT Pro on April 28, 2017. Kenneth and Ronan O'Mallery located these coins and artifacts with a new AT Pro in the Spring of 2017. Jame Becraft recovered this Confederate CS tongue in the same area as the 1816, 1825, and 1831 large cents and the 1883, 1906, and 1907 Indian Head pennies. Great finds with his XP Deus west of Gettysburg during March, 2017. 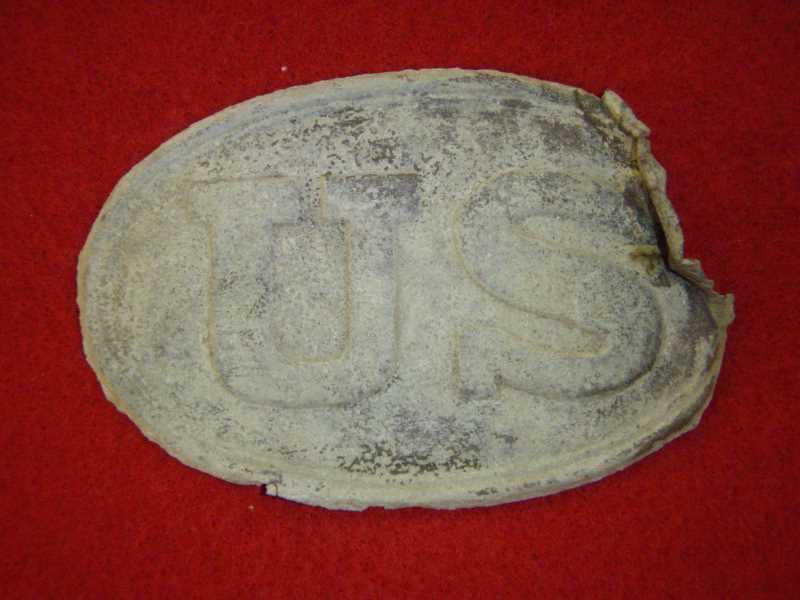 Dave Sterner located this Union Breast Plate on April 7, 2017, within three miles of Gettysburg. He brought it in as dug, just after recovering it with his AT Pro. Great find! 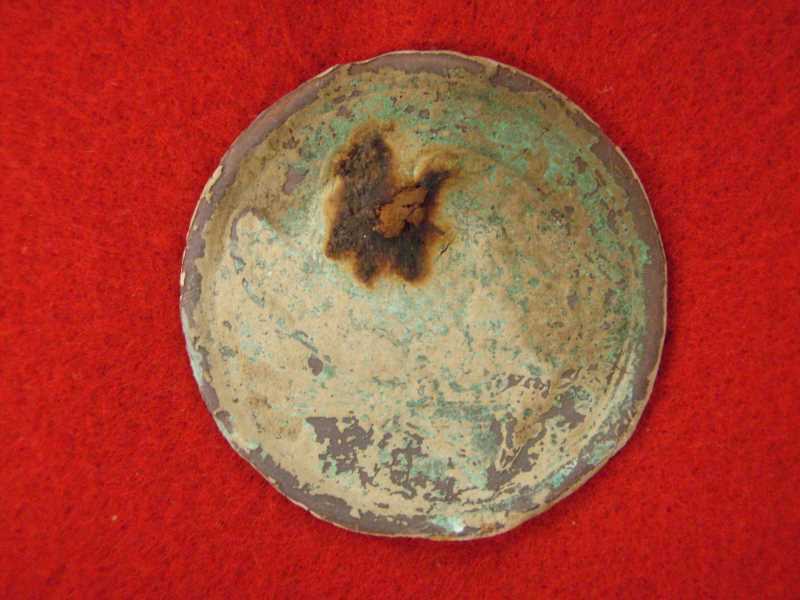 Mike Stevenson recovered this 1818-1825 Militia Plate west of Gettysburg, in March 2017, with his F75 and 5" coil. 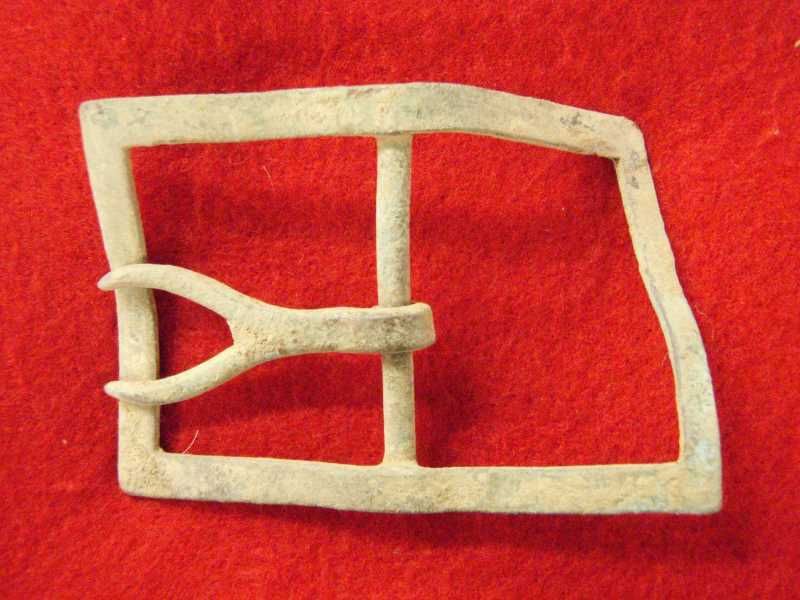 Kyle Johnson located this rare Confederate frame buckle with his Garrett AT Pro in Washington County, Maryland, in February, 2017. 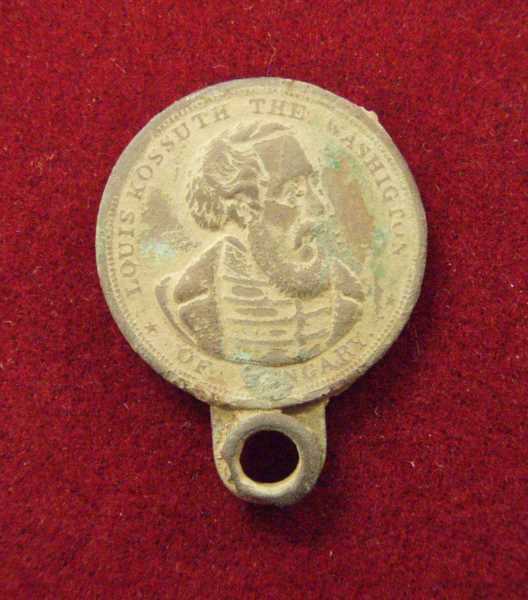 Robie Devilbiss located this 1850s item commemorating freedom fighter Louis Kossuth of Hungary on January 27, 2017. 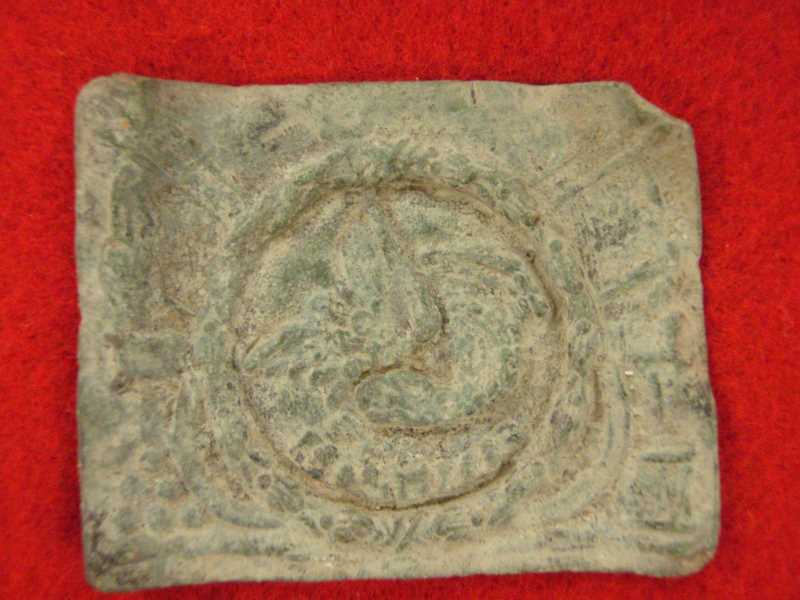 Scott Lupro located this Constantine I period (306-337 AD) Roman coin with his XP Deus at an 1817 mansion in Maryland. Stanley Snouffer located these artifacts around one old homestead. Included is a nice District of Columbia 1901-1902 dog tag. 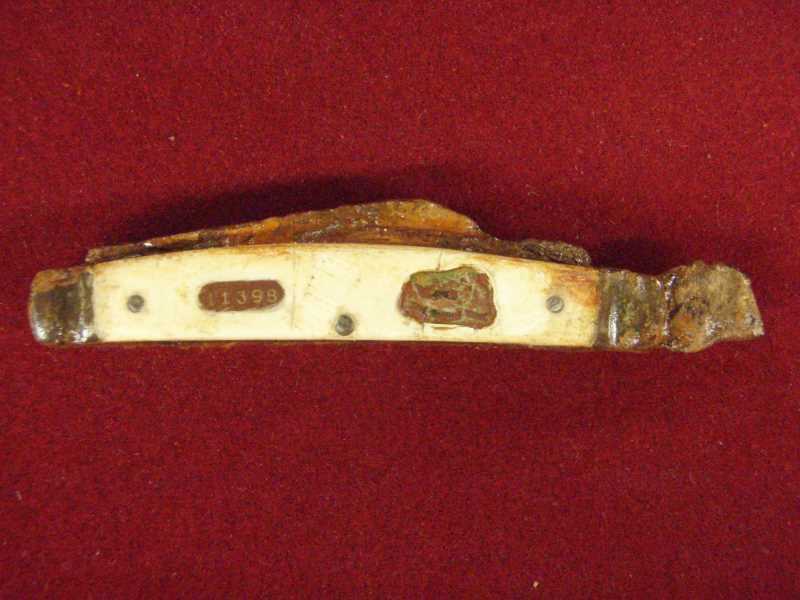 Stanley Snouffer dug this early penknife with a thick bone handle at a pre-Civil War homesite in northern Maryland. The knife has a serial number on the left, and on the right an emblem with E. Pluribus Unum on the bottom, and what looks like two mallard ducks on the top. Interesting. 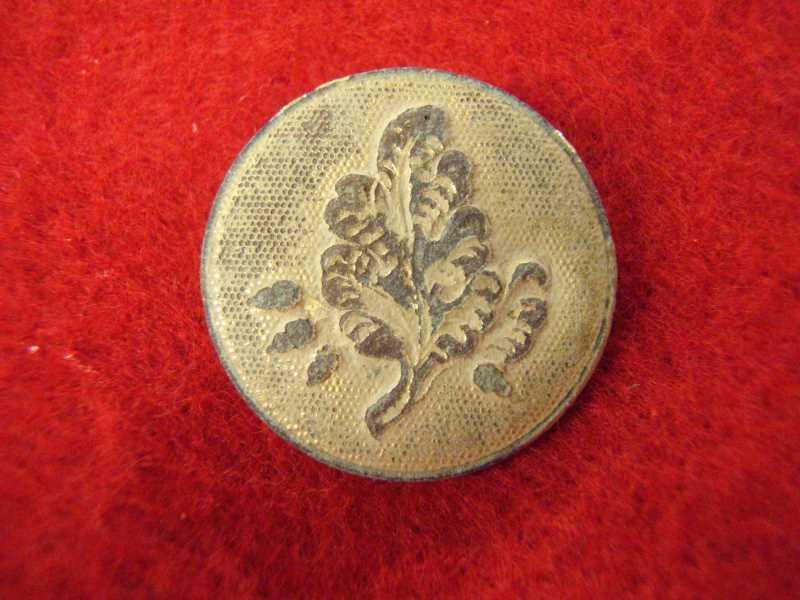 Barry Rhodes located this beautiful pre-Civil War flower button with his vintage Garrett Freadom One CDC near Harrisonburg, VA.
Joe Rhodes located this rare VMI (Virginia Military Institute) button with his Minelab Go-Find 40 in the New Market, Virginia area. 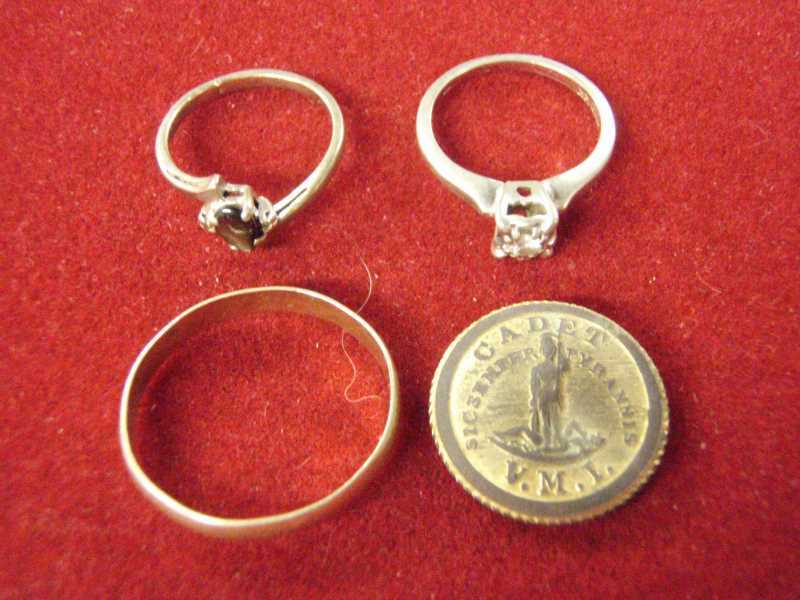 The gold rings were found with his White's DFX in the Harrisonburg, Virginia area. Mike Furmage located this Union Eagle A (Artillery) button, and a rare Rhode Island Providence Marine Corps of Artillery button in Maryland in July 2016 with his trusty White's DFX. Gary Persinger purchased a Garrett AT Pro on July 7, 2016, and headed down to the beach. 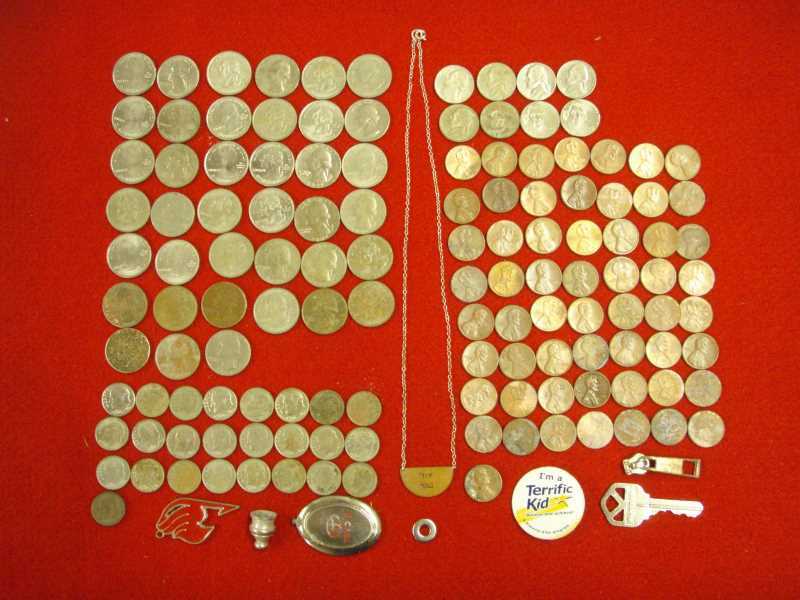 In two days, by July 9th, he had located these coins and other items in and out of the salt water. The AT Pro is on its way to paying for itself. Keith Sylvester located these Bullet Sinkers with an AT Gold, and the 1849 $10.00 Gold Piece (the find of a lifetime) with his Fisher F75. Congratulations, Keith! 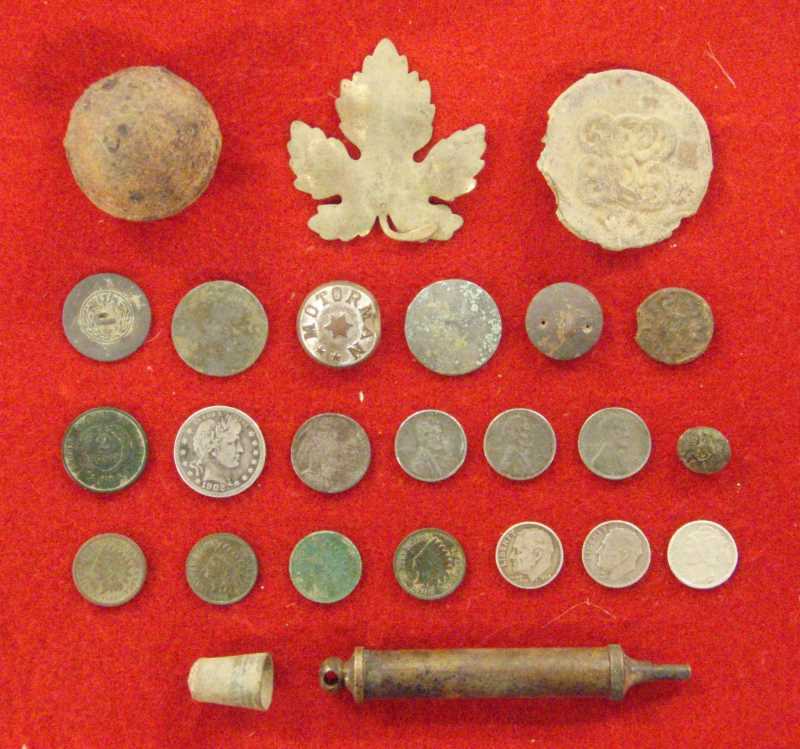 Jerry Nave just recovered these Civil War artifacts in an area he had hunted heavuly with a top of the line detector for 10 years, using his Minelab GPX 5000 and GPX 4500. 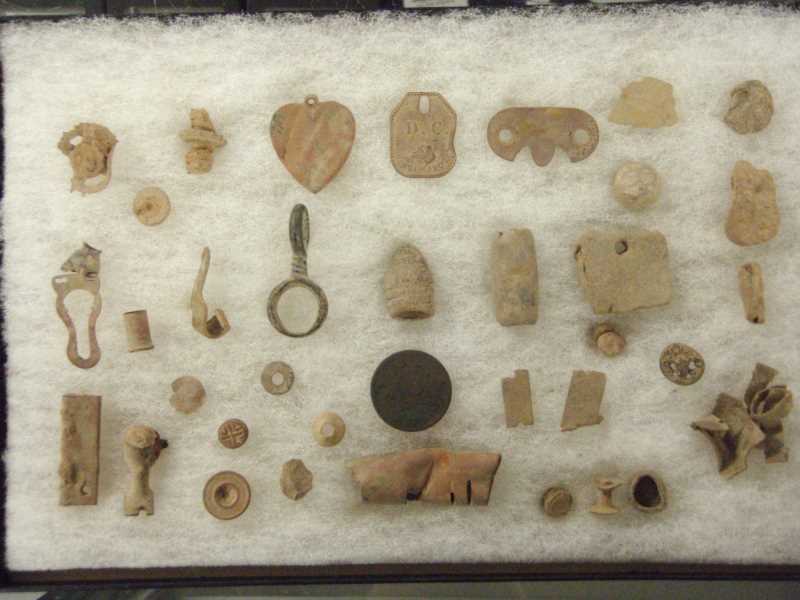 All these artifacts, plus an interesting Colgate Toothpaste token good for 10 cents were found in about 5 hours of detecting. There is no such thing as a 'hunted out' site. A Minelab GPX 4500 or 5000 will open up a whole new layer of deeper targets. 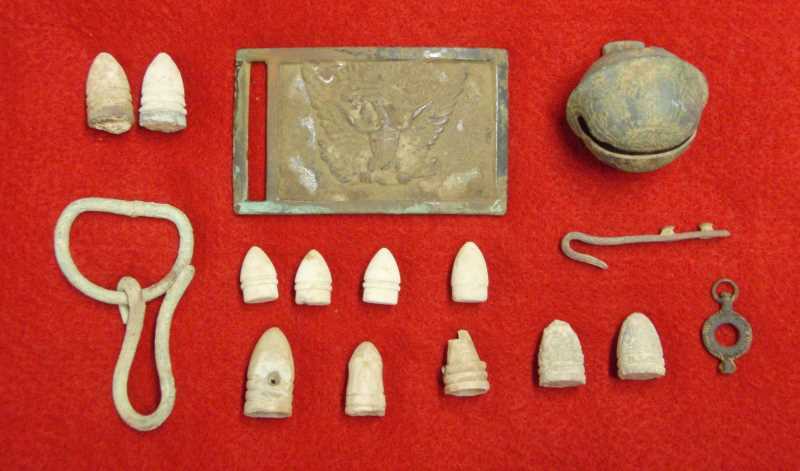 Wayne Needy recovered these artifacts from Maryland Civil War sites with his Garrett AT Pro. 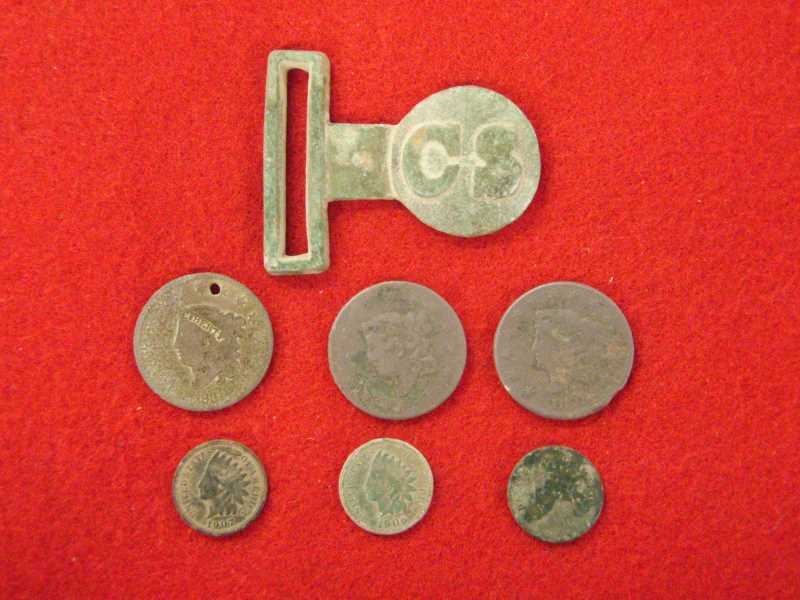 Included are a scarce Union Dragoon button, eleven bullet varieties, a kepi buckle, a Springfield musket wrench, iron Hotchkiss canister, brass throat from a sword scabbard, coins, and miscellaneous buttons. The Garrett AT Pro is a super detector for finding relics, as well as coins, rings, and jewelry. Nice going, Wayne! 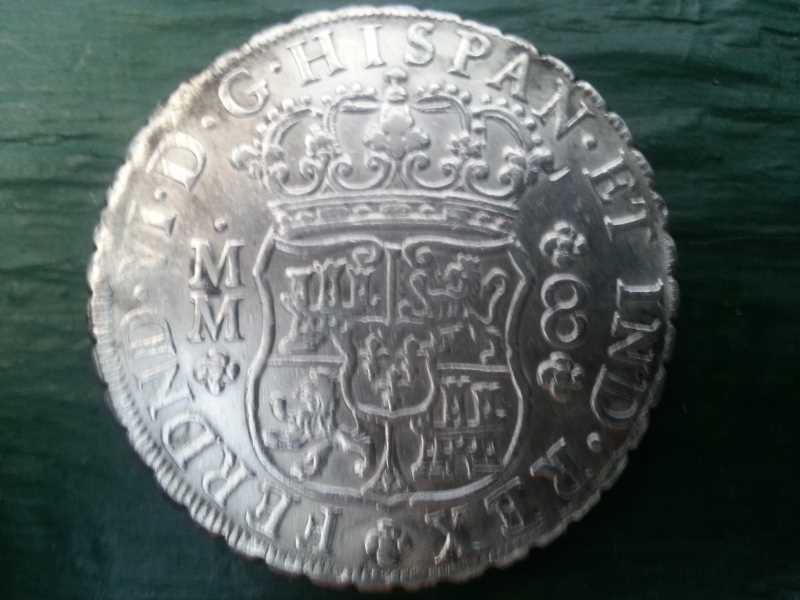 Steve Barnes located this 8 Reales 1755 Fernando VI Spanish coin at a colonial fort that has been heavily hunted for many years. 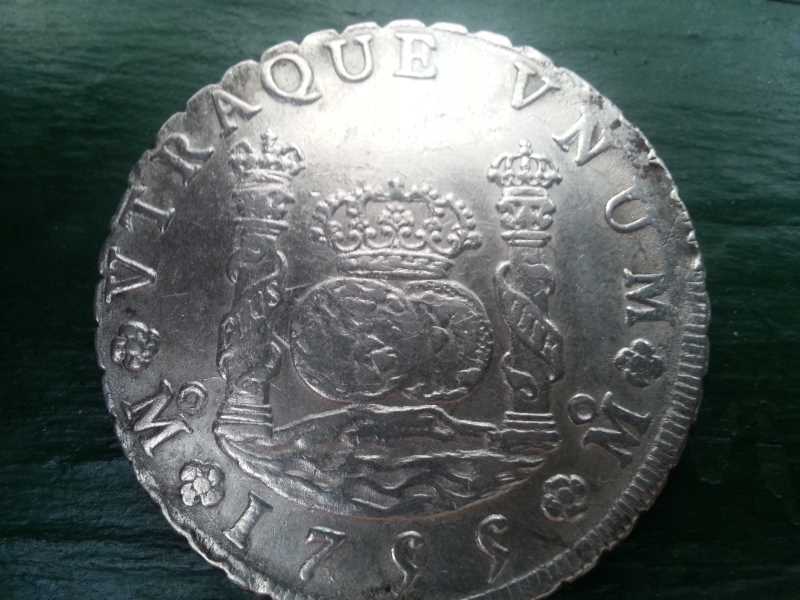 Steve notes that this is another great find with his Minelab CTX 3030. He loves that Minelab! 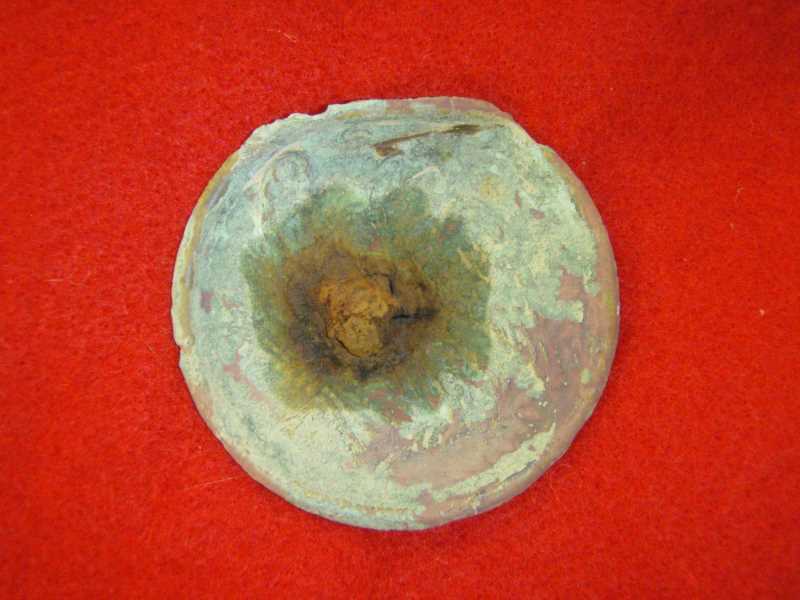 Brad Trostle found this beautiful 1-3/8" diameter great coat button with gilt, a Type I Williams Cleaner bullet, a pewter button, and an 1820 large cent in the first 3 days of July, 2015, all on a farm near Gettysburg. 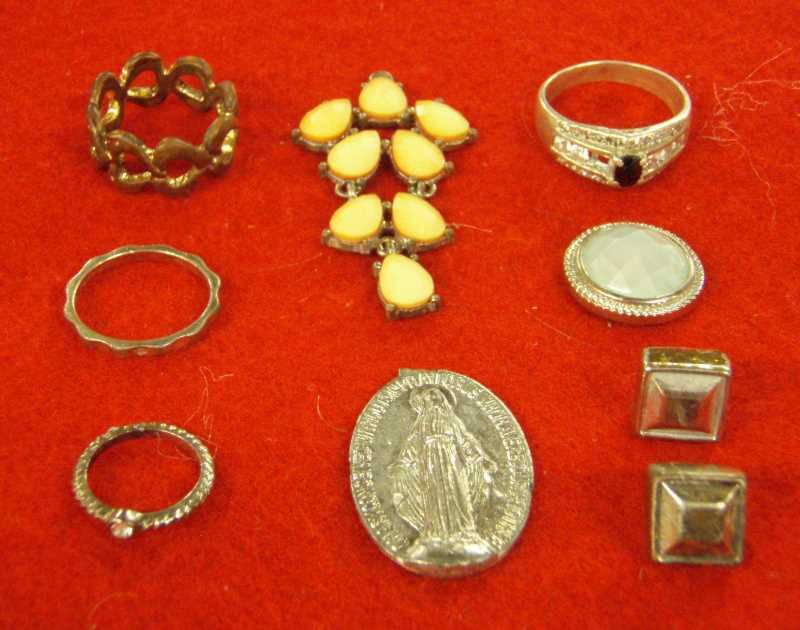 Stanley Snouffer recovered these beautiful rings and jewelry on his June 2015 vacation at Virginia Beach, with his Minelab X-Terra 705. 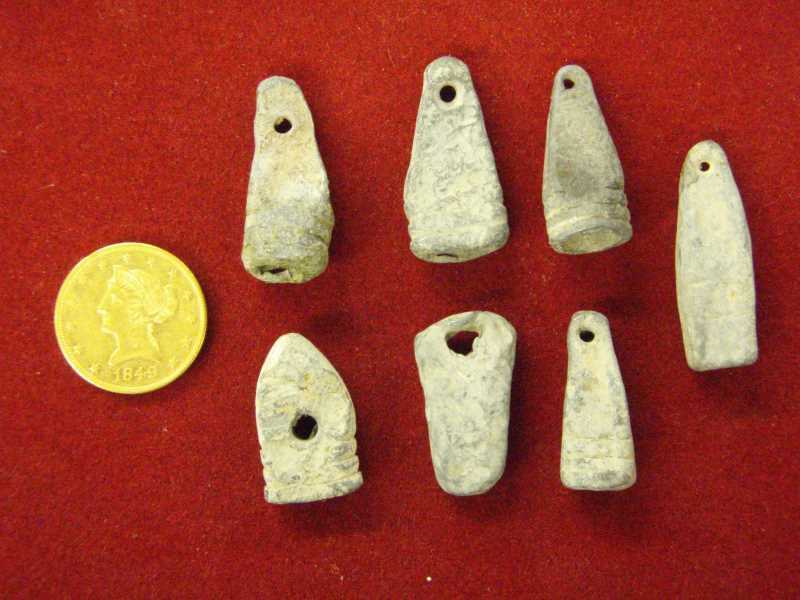 It is interesting that the two square earrings, a perfect pair, were found one block apart on the beach. 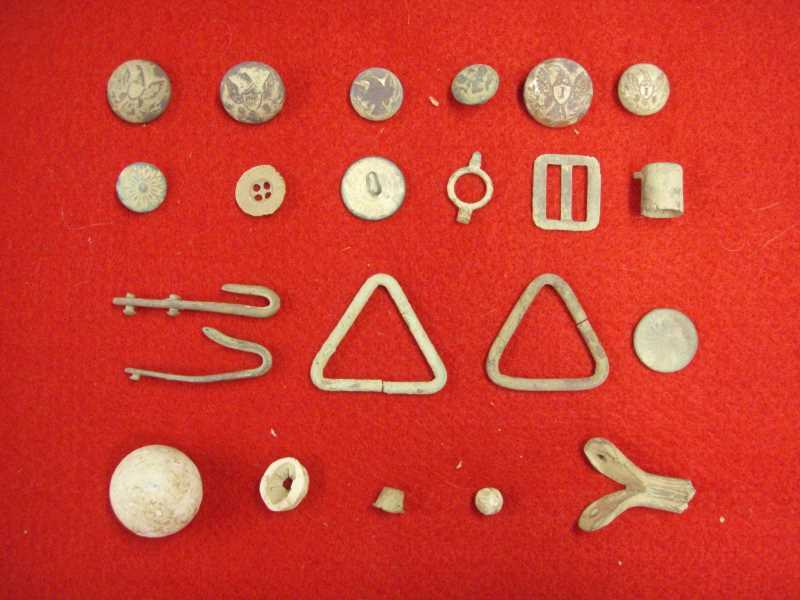 Duane Geiling recovered these coins, buttons, and artifacts at an early homesite several miles north of Gettysburg using his Garrett AT Pro. 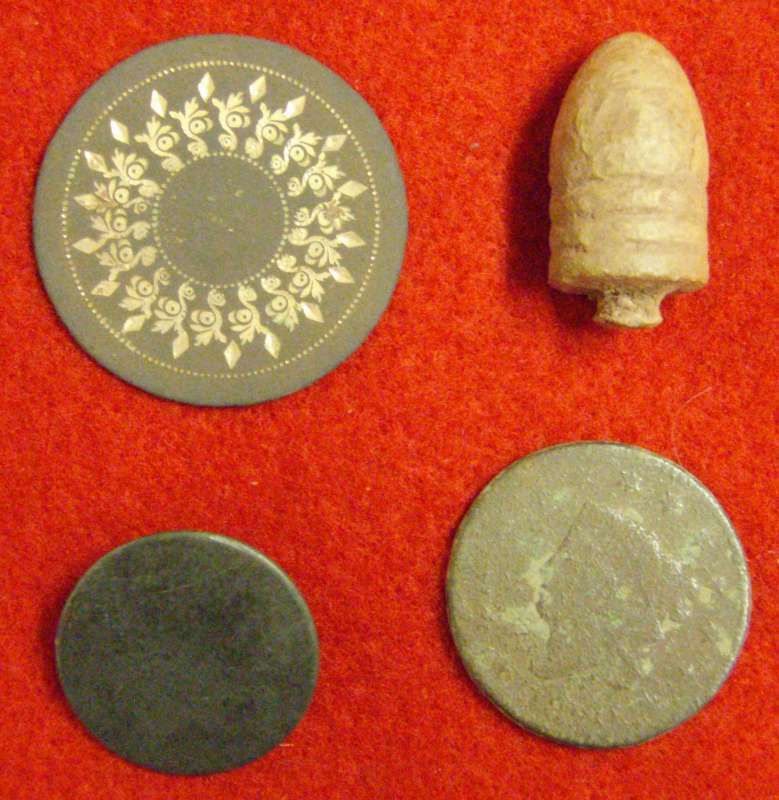 Included are a scarce Civil War Dragoon cuff button and an iron grape shot. Among the coins found were a beautiful 1864 2 cent piece, four nice Indian head pennies dating from 1861 to 1906, three 1943 zinc plated steel pennies found in dry ground under a porch, a 1937 buffalo nickle, and silver dimes. 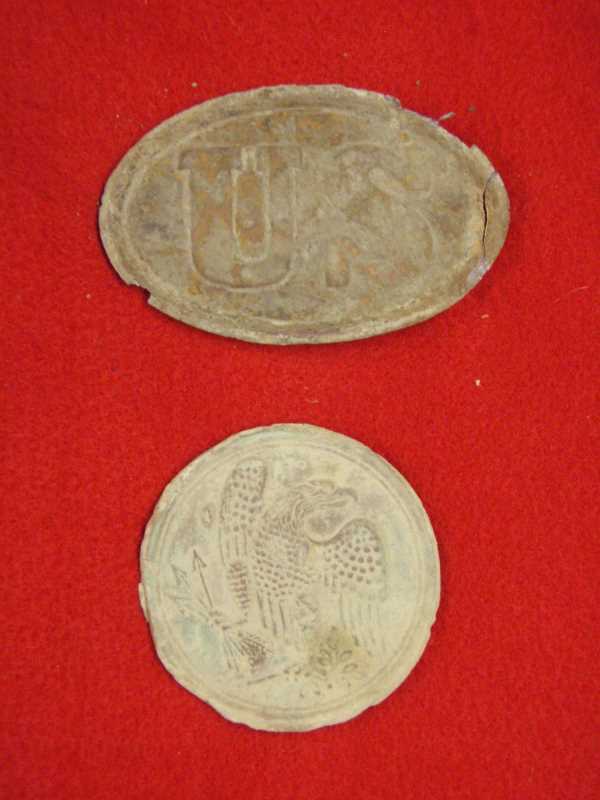 The buttons include a pewter post Revolutionary War 7th Cavalry button, a mid-18th Century French hollow cast button. 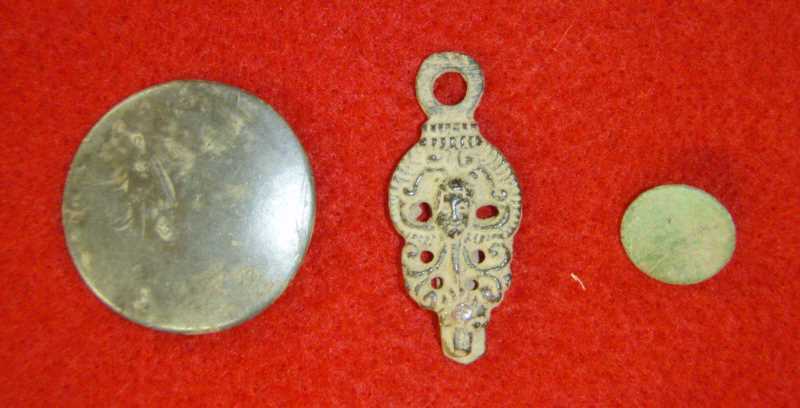 Also found were an early thimble, brass black powder container, and a rosette with English letters on it. 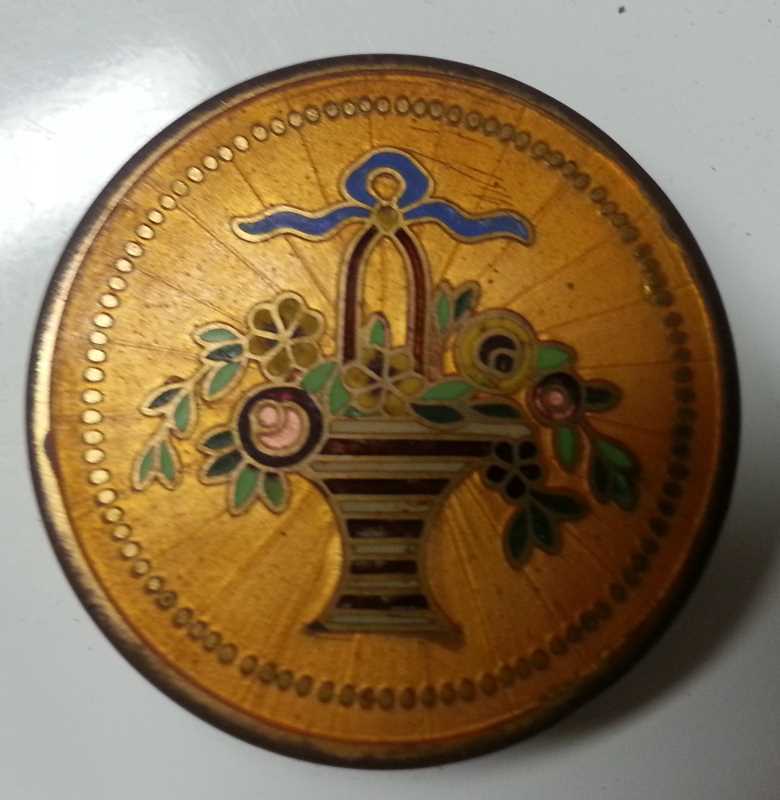 Steve Barnes just found this beautiful enameled item with his metal detector. Nice going, Steve! 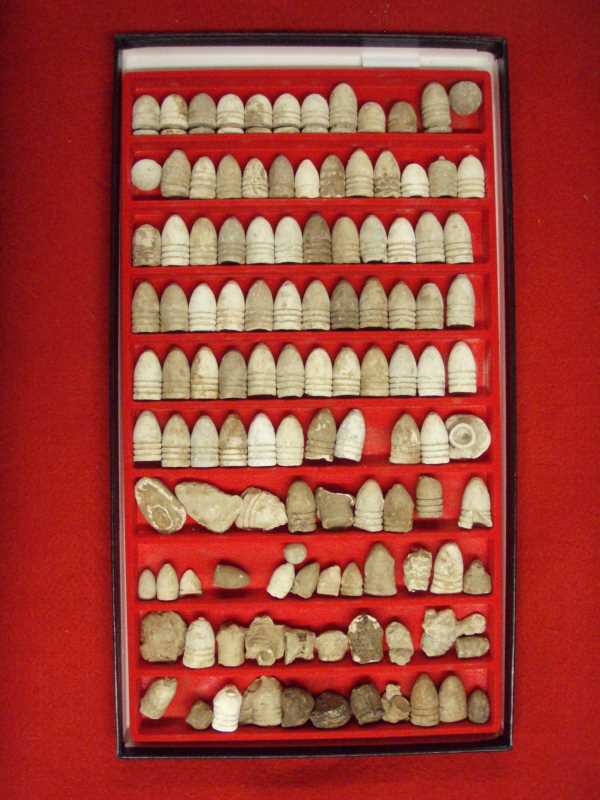 Tim Bosler dug these explosive bullets in the Gettysburg area. 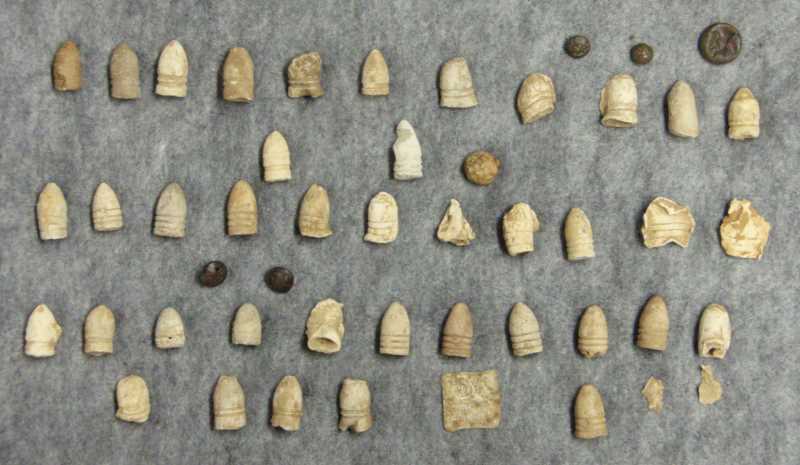 The scarce bullets were used in only two major battles, Chancellorsville and Gettysburg. Both the Union and the Confederates agreed that they were too unhumane, and agreed not to use them. Chase Woods dug this Union Eagle Breast Plate and Union US bucket with arrow hooks. He also recently recovered a number of .58 caliber Union bullets, Williams Cleaner bullets Type II and III, Spencer and Sharps .52 caliber bullets, .44 caliber pistol bullets, musket balls, and fired bullets. 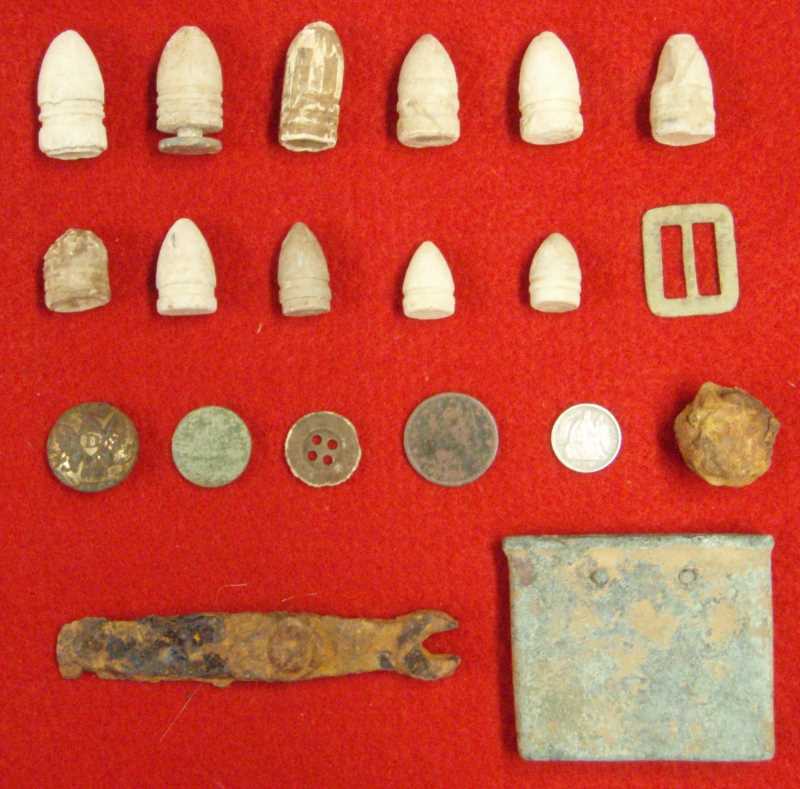 There were also a number of nicer Civil War artifacts, including Eagle buttons, Eagle I buttons with gold gilt, iron underwear button, watch key, kepi buckle, rare pinfire cartridge, knapsack hooks, sling hooks, Indian Head penny, etc. All great finds, all found with his Garrett AT Pro. 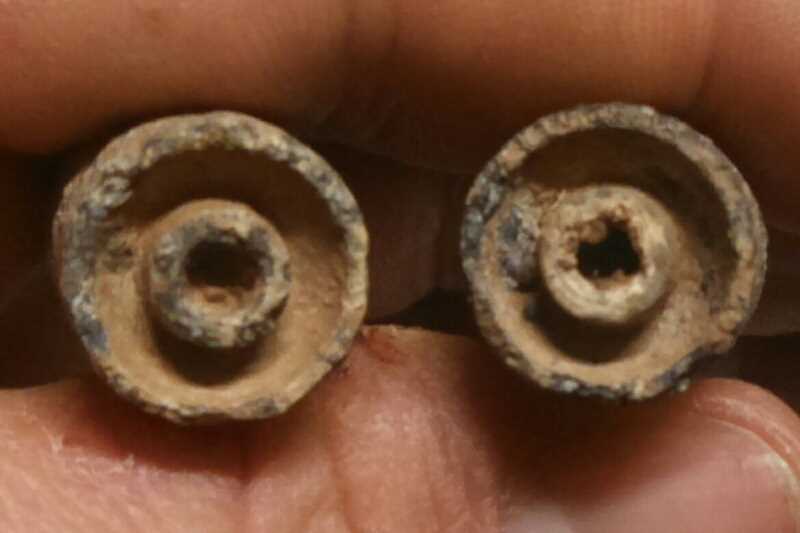 Gary Beaverson recovered these buttons with his F-75 Fisher. 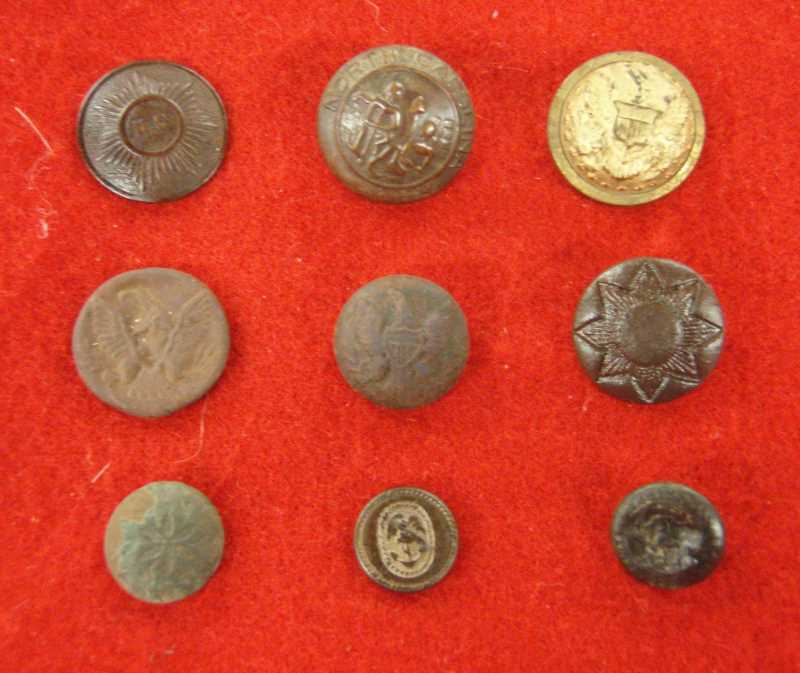 Included are a North Carolina sunburst pattern, North Carolina State Seal, Staff Officer button with gilt, two eagle buttons, 2 flower buttons, an early Navy button, and a Virginia State Seal cuff button. 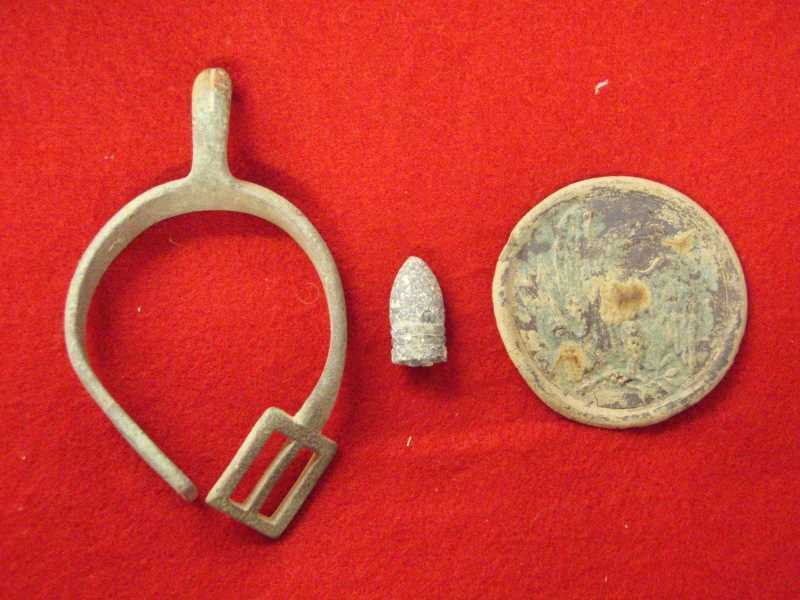 Kenny Brame dug these three scarce buckles in the Gettysburg area this spring (2015). 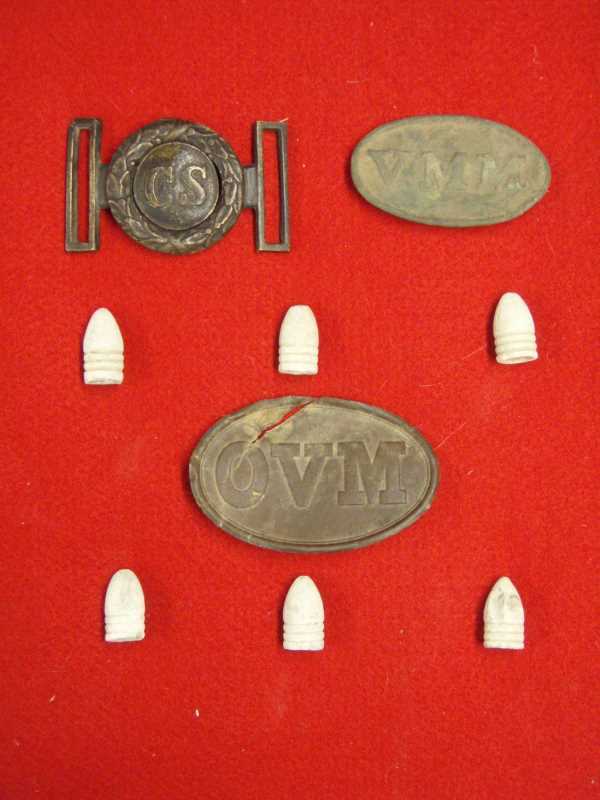 Included are a Confederate two-piece waist belt plate, a Volunteer Militia of Maine (VMM) waist belt plate (under a huge rock), and an Ohio Volunteer Militia waist belt plate with 6 Union minie balls from the same spot. All these fabulous Civil War artifacts were found with his trusty 1999 White's Blue & Gray Pro. 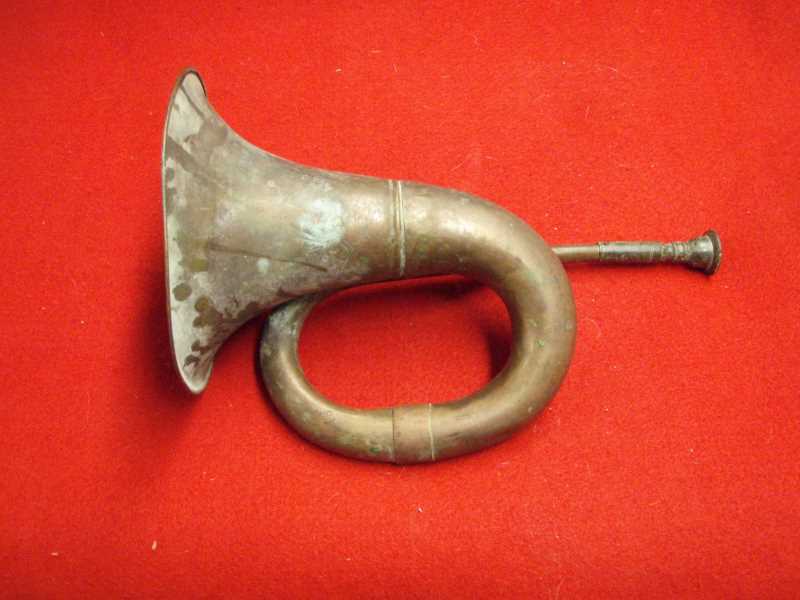 The Civil War bugle was found sunk in the mud of a stream bank in the Gettysburg area in the fall of 2014. When he got the mud out, the bugle still works! All great finds! Jon Priest recovered this 3-piece Shaler bullet drop along the Baltimore Pike in Gettysburg, using his White's on April 12, 2015. Single pieces turn up occasionally, but complete Shaler drops are rare. Great find! Brian Speck found these items in Dover, Manchester, and East Berlin in March and April, 2015 with his Garrett AT Pro and White's MXT. 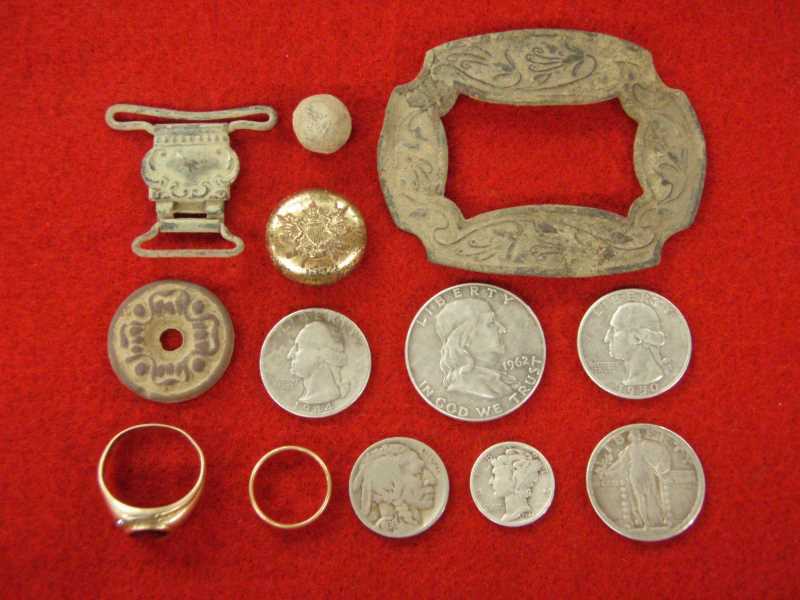 Included are an 1803 large cent, 1975 Uruguay commemorative coin, Texas cap gun, 1909 silver quarter, 1899 silver dime, 1892-1893 Westinghouse brass patent, keyhole cover, hat pin, and Napoleon letter opener. 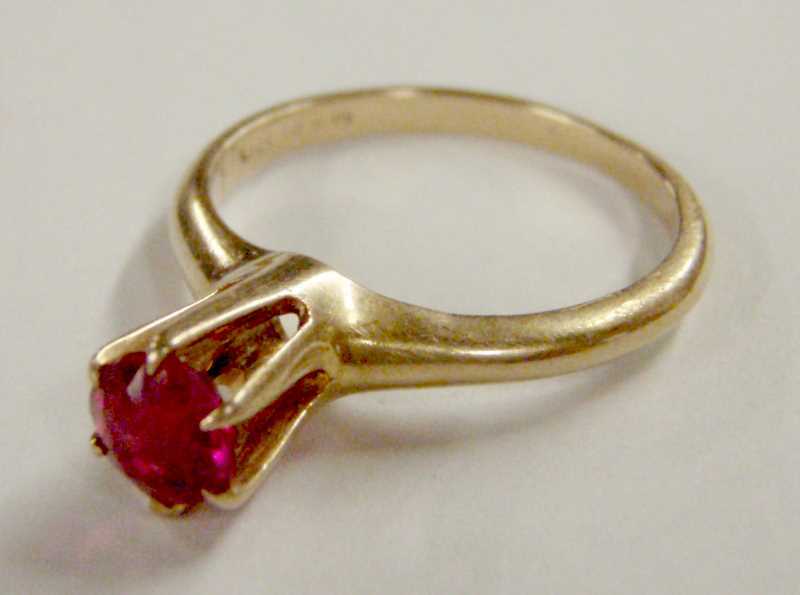 Gene Walter of Columbia found this 14k gold with pink sapphire ring manufactured by the Ostby Barton Company in the 1880's - 1900 timeframe. It contains Ostby's personal mark. Ostby was later killed on the Titanic while his daughter survived. He had returned to their stateroom for warmer clothing while he left his daughter at the life boats. 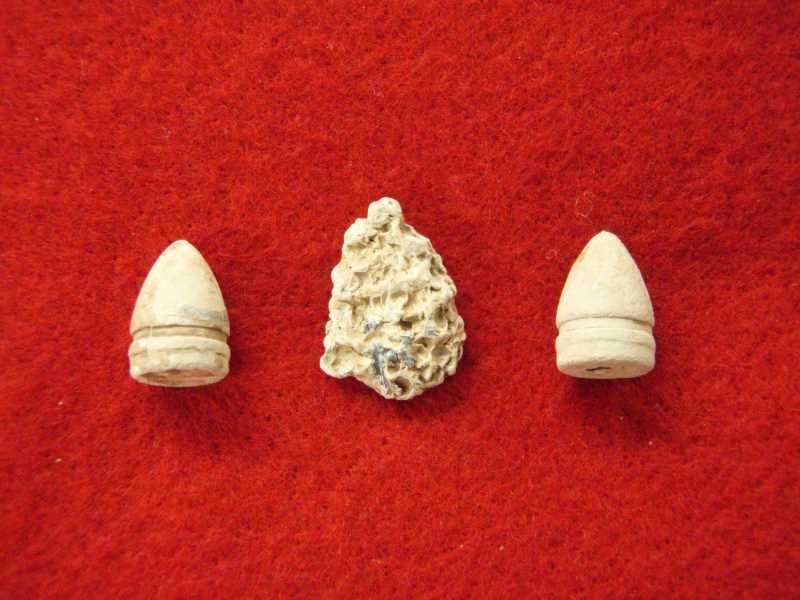 Wayne Needy, while at Antietam / Sharpsburg, MD, located these artifacts with his Garrett AT Pro. 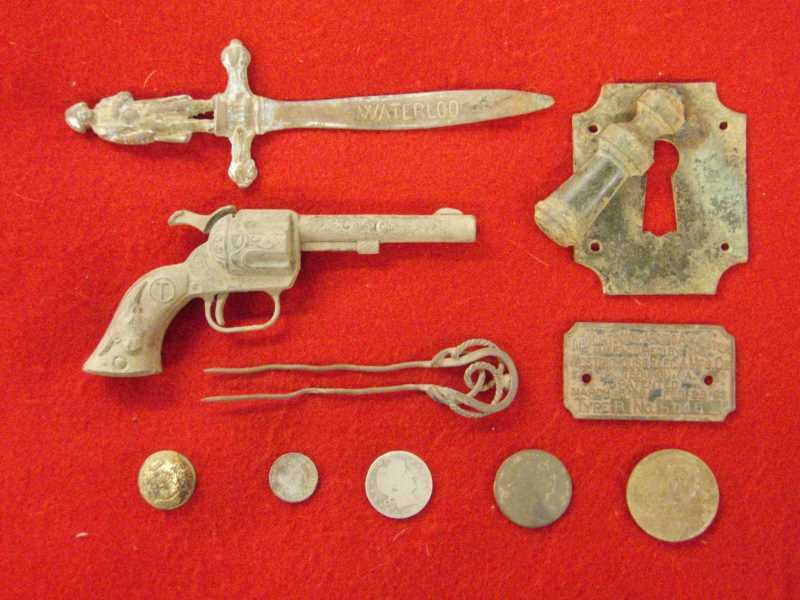 Union sword belt plate, brass sword hanger, rifle sling, Spencer bullets, Burnside bullets, watch key, .44 caliber pistol bullets, carved bullets, and a pewter sleigh bell - all great finds! 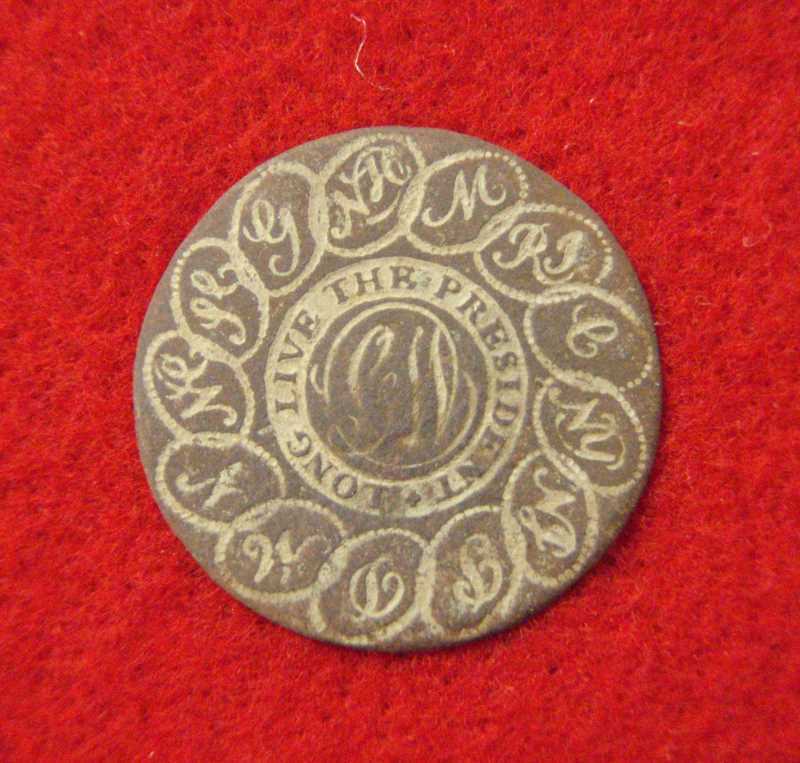 Tim Byers located this rare George Washington Inaugural Button with his Garrett AT Pro on July 7, 2014, in an area he had hunted previously with other quality detectors. The superior target separation with the 2D coil on the AT Pro was a key in locating this target in the midst of junk. Great job, Tim! 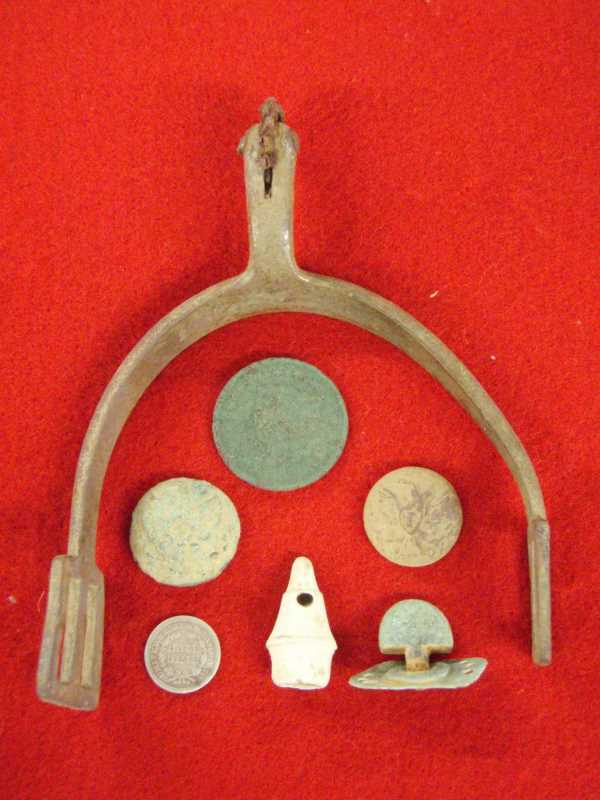 Wayne Needy located this Union Spur, beautiful carved bullet, 1854 half dime, 1826 large cent, 2 Eagle I buttons, and an epaulet catch from a Civil War campsite located in Maryland, with his Garrett AT Pro. Nice going, Wayne!